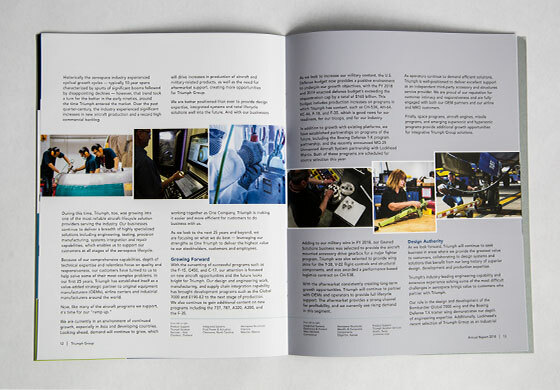 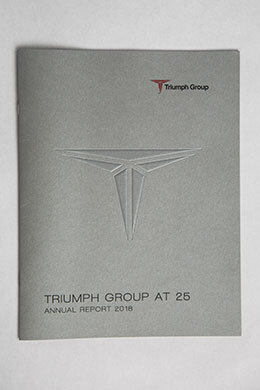 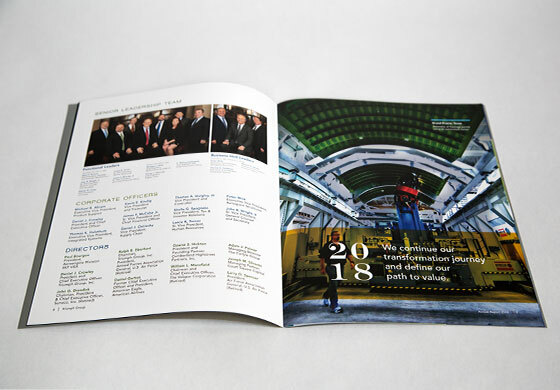 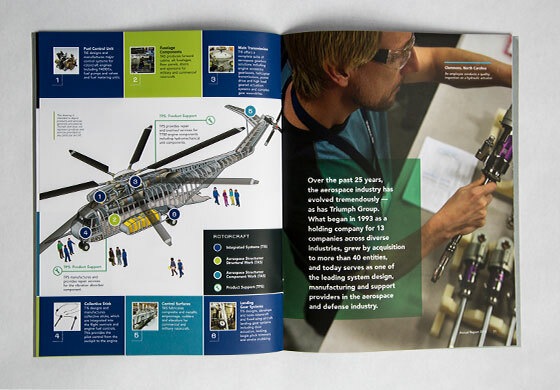 Warkulwiz Design Associates collaborated with the Triumph Group, one the region's leaders in aerospace technology, on their 2018 annual report. 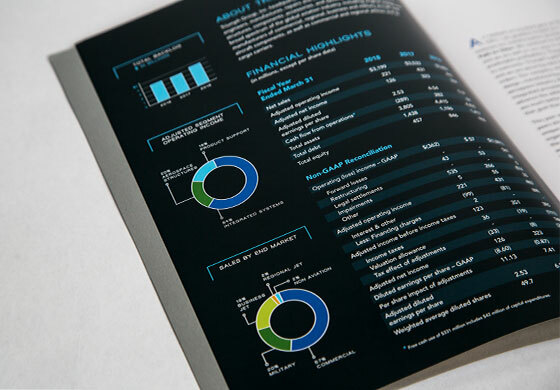 Celebrating a milestone year, the client wanted to showcase their accomplishments but also shine a light on their focus for future growth. 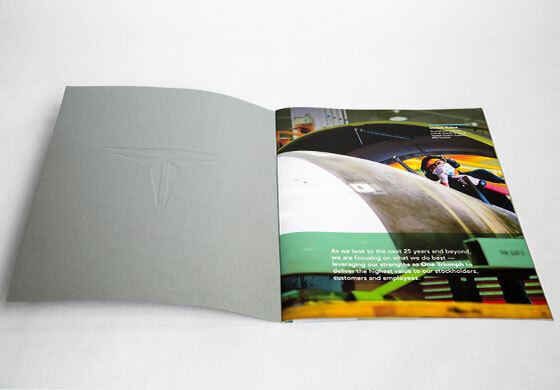 A blank embossed logo is the highlight of the cover -- foil stamped with clear gloss on the metallic stock. 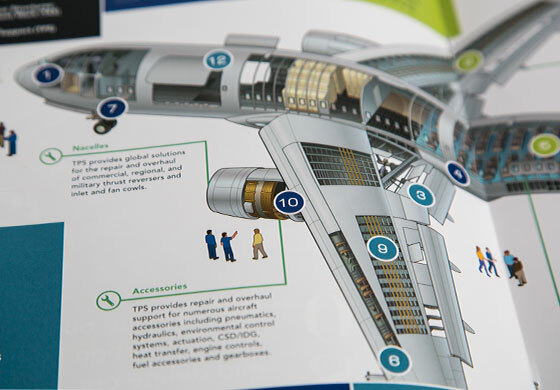 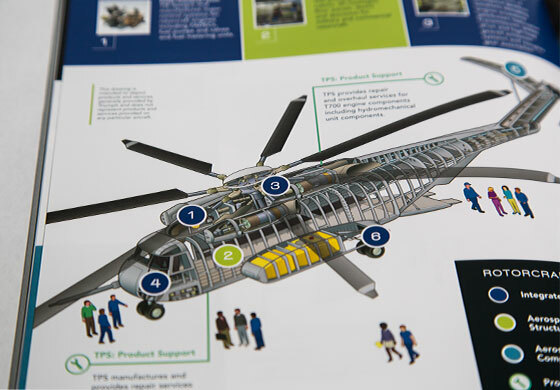 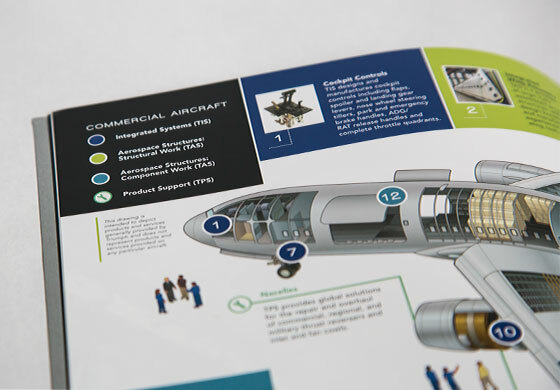 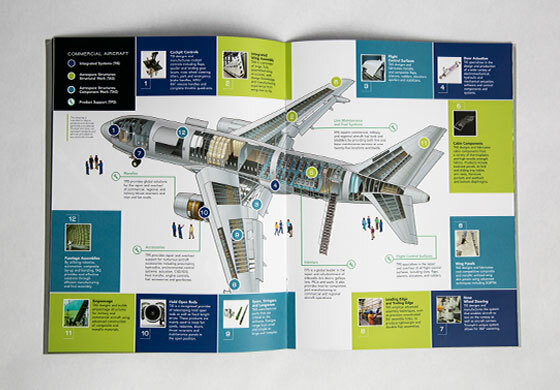 Custom illustrative dissections of an airplane and helicopter were created as pull-out infographics that highlight the company's "tip to tail" product, operational, and manufacturing sides of the business.